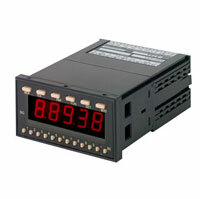 Panel Mount Tachometers are used to measure RPM, measuring conveyor speed, motor speed and many other applications. 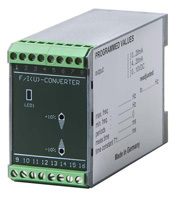 They can be custom programmed to fit your application. Rugged and reliable, our 1/8 din panel mount tachometers are designed for both the OEM and retrofit markets and are suitable for a broad range of applications. From the economical DT-5TS to the sophisticated yet affordable DT-5TXR with optional output modules, panel tachometers are engineered to meet the strictest tolerances.